Another Nerf bow scoop from My Last Dart. This time it’s the Avengers Hawkeye Bow. Now, I’m not usually a fan of any of the bow-styled blasters. 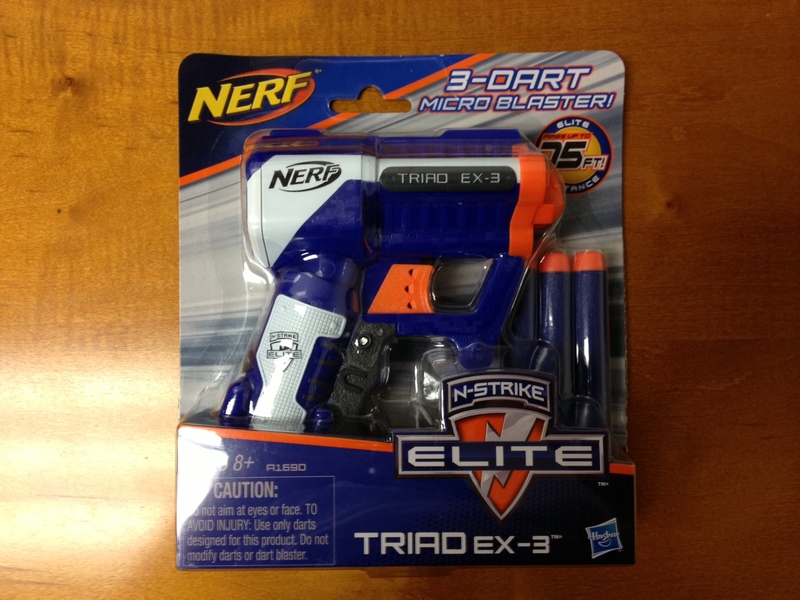 But this is compact, fires elite darts, and the rumor is that the trigger is for a tactical light… With a preorder price of $12.99 it’s hard for even me to not click through and order one. 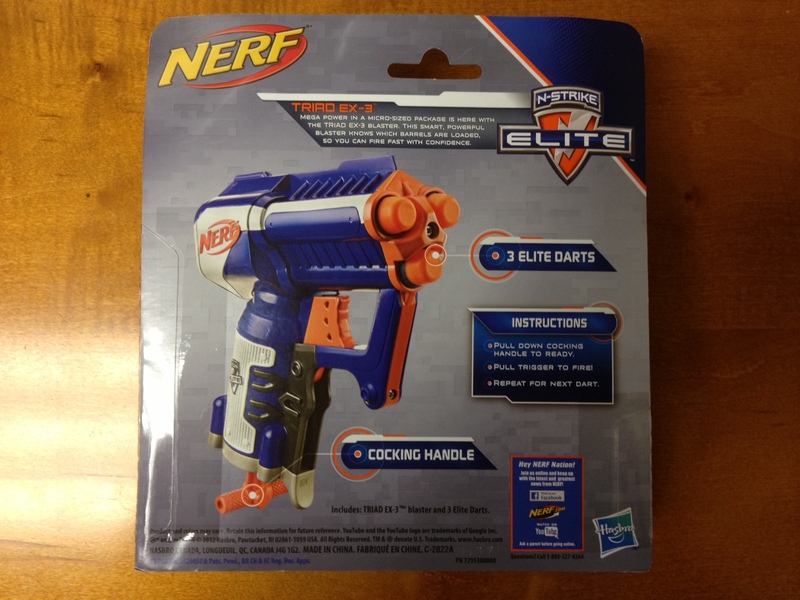 Click on over to My Last Dart to read about the Toys R Us release of the Nerf Rebelle Golden Edge Bow. With a price point around $30 I most likely will not be doing a review, but you can Pre-Order for $24.99 if this is your style of blaster. 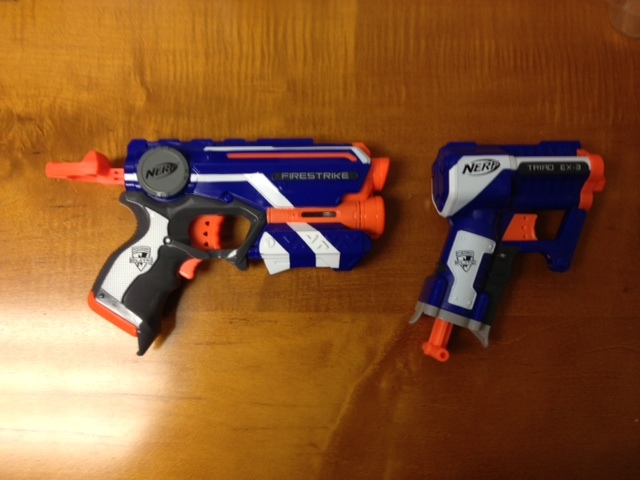 Check out Bazookafied’s scoop over on Tactical Tag about Kmart’s “Huntsman” line of blasters. Unfortunately, most of them are over the $20 price point, so I won’t be doing a whole lot of reviews on this series… Well maybe the Huntsman Swift Strike Crossbow pictured above. 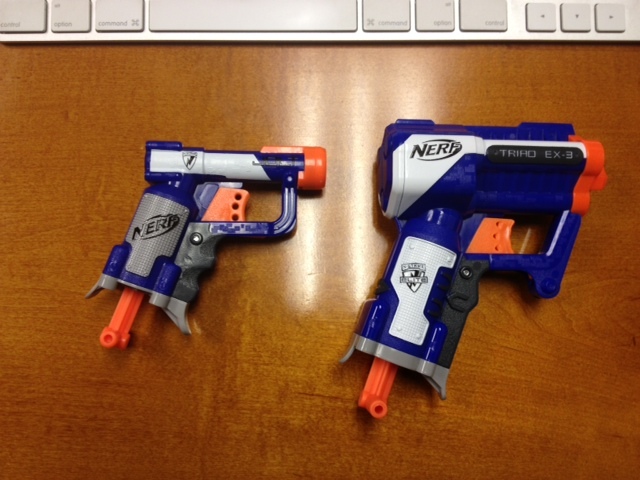 While cleaning out an area at work we found one of the company’s oldest blasters. It is a tired looking N-Strike Secret Strike AS-1. It took me a moment to realize the significance of this tiny little defender of a blaster. So, in honor of this once great blaster, I thought I’d review this one specifically and share a little bit of it’s history. Dude, where did you find this? Purchased sometime around 2009 this tiny blaster was picked up for two reasons: 1) We needed a keychain for the storage room out back. 2) Employees were tired of getting ambushed when returning from the storage room out back. It has been through quite a bit since then. It has survived several harsh, Wisconsin winters. It’s been punished with numerous throws, drops, and even kicks. It has successfully faced down and won against much more robust blasters like Mavericks, Recons, Barrel Breaks, and even a Rapidfire. And all of this without being modded in any way. Now on to the current stats. 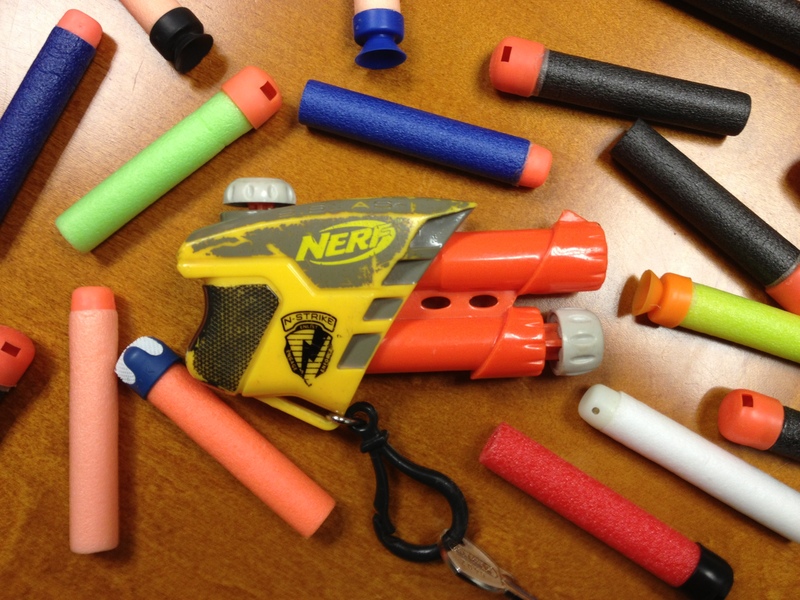 For a vintage (but actual) Secret Strike review, take a look at what Nerf Mods & Reviews had to say. I may add this to future posts but what do you think I should do with this unique blaster?